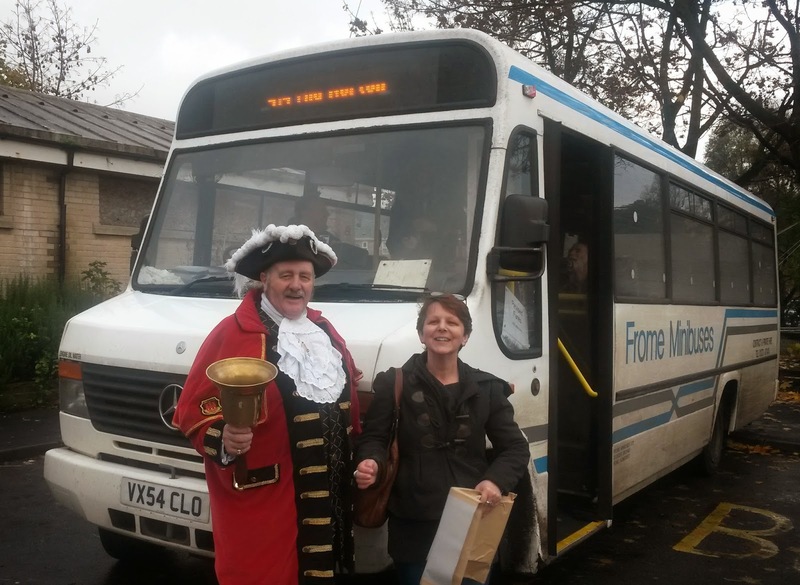 Frome and Villages Bus Users Group: Hear ye! Hear ye! On Saturday morning, FAVBUG took to the streets of Frome to encourage bus travellers to have their say on Somerset County Council's proposed cuts to subsidies for buses serving Frome. 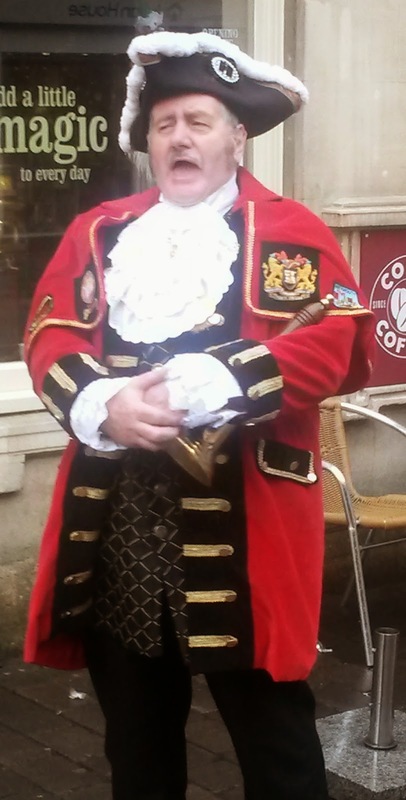 With help from Mike Bishop, Frome's own Town Crier, we spread the word in no uncertain terms, giving out fliers to passengers arriving and leaving on the affected buses, and explaining how people can participate on the council's consultation. Many passengers expressed surprise and concern at the proposed cuts, which would affect their ability to visit Frome to work or shop. The council expects to cut funding for the 424 service to Midsomer Norton and the 161 to Wells. The Saturday timetables of both services could disappear entirely. You can respond to the council's proposals here.